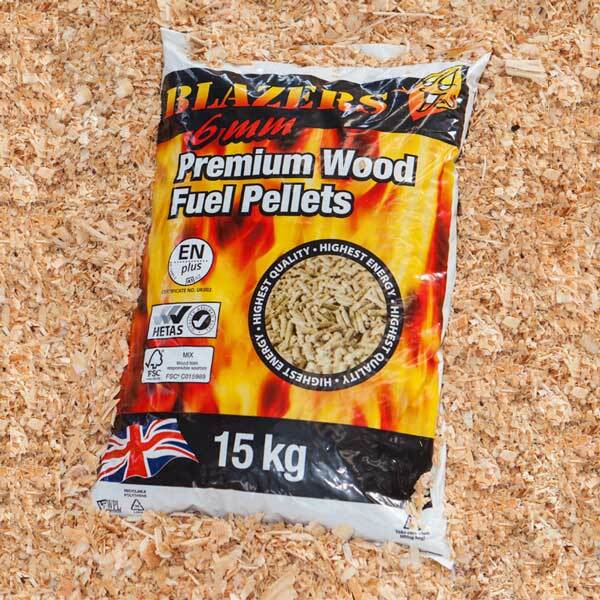 Blazer’s Premium Wood Fuel Pellets are produced in a futuristic pellet mill situated in the hills of North Wales. Using the residue from our timber sawmills we manufacture pellets from natural Virgin Wood, sourced from sustainable and well managed forests within the UK, carrying the FSC ® certification. Blazers wood pellets are clean and can be easily handled without any mess. The pellets are held together by the woods natural lignin, which is released during the pelletizing process due to the heat and compression. Blazers wood pellets are also accredited with the EN Plus A1 Standard which offers full assurance that they meet the required European Quality Standards for the manufacture and supply of wood pellets. They can be used in domestic pellet boilers as well commercial applications. The moisture content for this product is calculated at 7%.